White Swans On The Lake Hallstatter See. Sunny Morning Scene On The Pier Of Hallstatt Village In The Austrian Alps, Liezen District Of Styria, Austria, Alps. Europe. Traveling Concept Background. Fotos, Retratos, Imágenes Y Fotografía De Archivo Libres De Derecho. Image 116549832. Foto de archivo - White swans on the lake Hallstatter See. 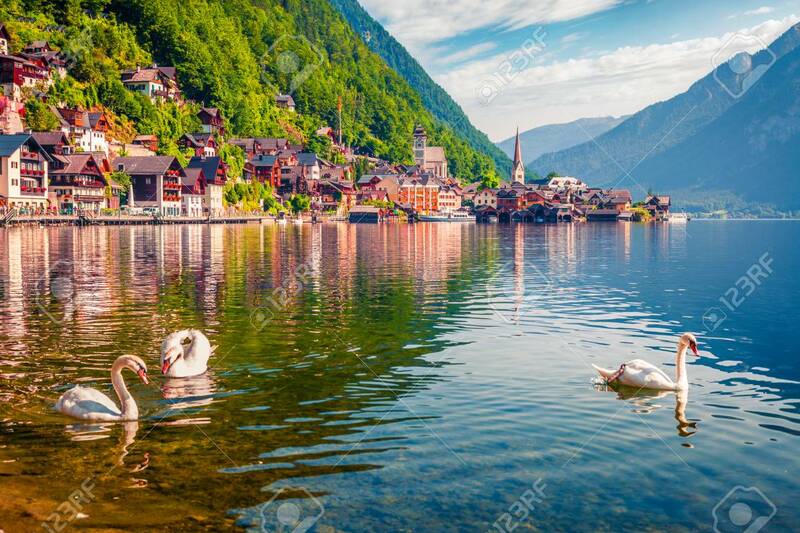 Sunny morning scene on the pier of Hallstatt village in the Austrian Alps, Liezen District of Styria, Austria, Alps. Europe. Traveling concept background. White swans on the lake Hallstatter See. Sunny morning scene on the pier of Hallstatt village in the Austrian Alps, Liezen District of Styria, Austria, Alps. Europe. Traveling concept background.